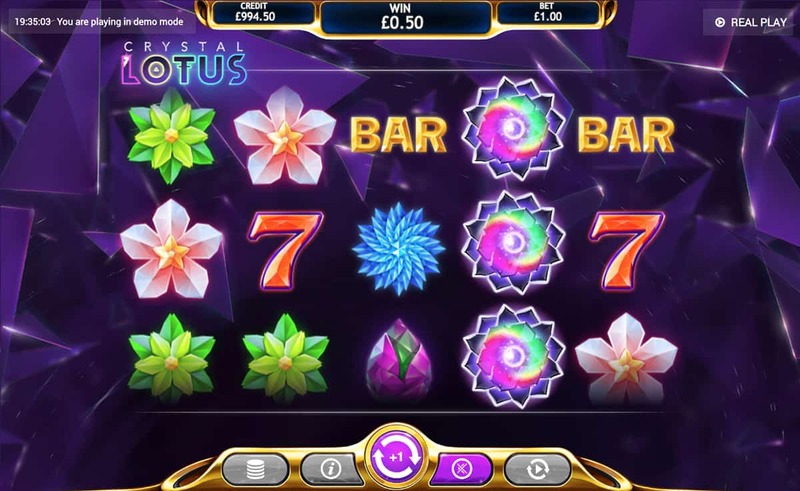 Get ready for a soothing retro experience on Eyecon’s Crystal Lotus Slot. 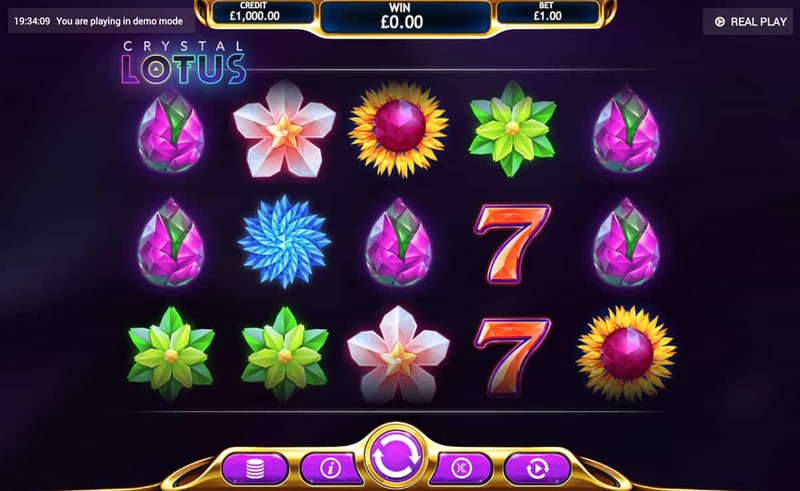 Forget about Triple Bars and Diamonds, this time round we’ve got delicate flowers, ornate gems and, to keep things nostalgic, a few Lucky Sevens thrown in for good measure. Crank up the music, enjoy the Expanding Wilds and Re-spins and experience a calm way to win. Much more relaxing (and rewarding) than a spa break. To keep in with the calm, soothing theme, the symbols match the sentiment. The Faberge Eggs, Flowers, and Lucky Sevens all have a delicate gleam to them. Almost too good to belong in a slot, but maybe in a painting instead. We’re glad they’re here though. It’s a nice combination of the tranquillity we might find at a koi pond - is anyone now thinking of NetEnt’s Koi Princess slot? - on the side of a Japanese mountain…with a retro slot. That might sound really bizarre yet EyeCon makes this work effortlessly. The Bars and Sevens give us that nice hint of nostalgia while the various flowers add some serenity. Add this to the lush purple background and we’re in heaven. The only thing that breaks our concentration is when we land a winning combination and the screen gently shatters, shards gracefully flying across the screen while our prize is displayed right in the middle. Anyone who’s played an EyeCon slot before will recognise the familiar layout. 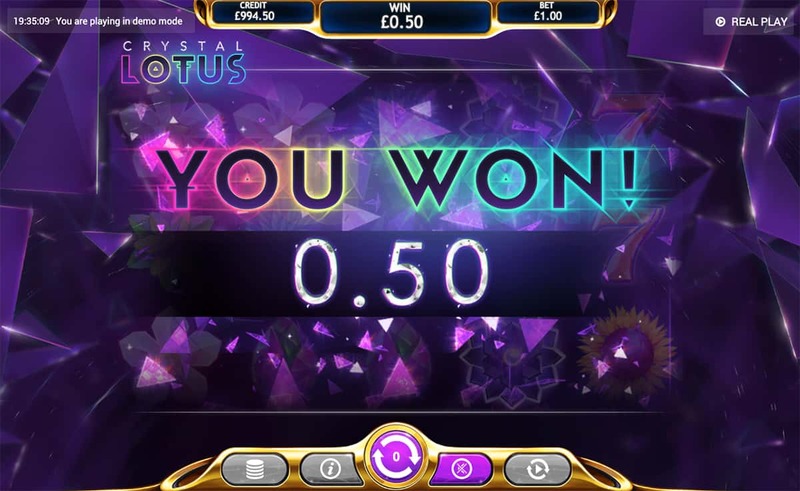 Our wins and betting options are all clearly shown at the top, while the spin button, auto-spin and coin selections are neatly tucked away on the right. If we ever need assistance, the menu button is just a click away to reveal all the game’s going-ons. But hey, we can save you the job right here, right now. 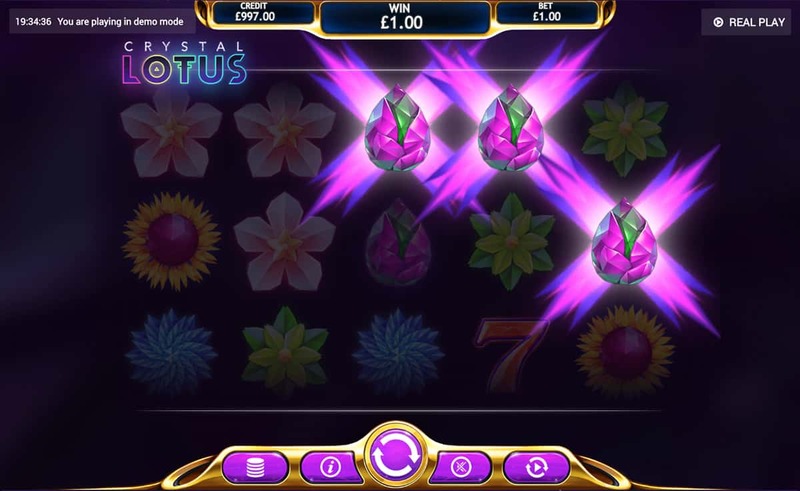 The Lotus is the most valuable symbol on the game, responsible for all the bonus action. It can only appear on the second, third and fourth reels but when it does, it acts as the slot’s Wild. And then some. In fact, when one of more of the symbols appears, it triggers the Expanding Wild Re-spin feature. When this happens, the Lotus symbol expands and covers all positions on the reel. It might sound like space-age smash hit Starburst, but we can assure you this is entirely creatively (and legally) distinct. These symbols hold in place and we get a Re-spin. Boom. But then more booms come. If we land more Lotus symbols, we get more Re-spins until there are no more Lotus symbols on the second, third or fourth reels. We’ve never respected the lotus as much as we do now. 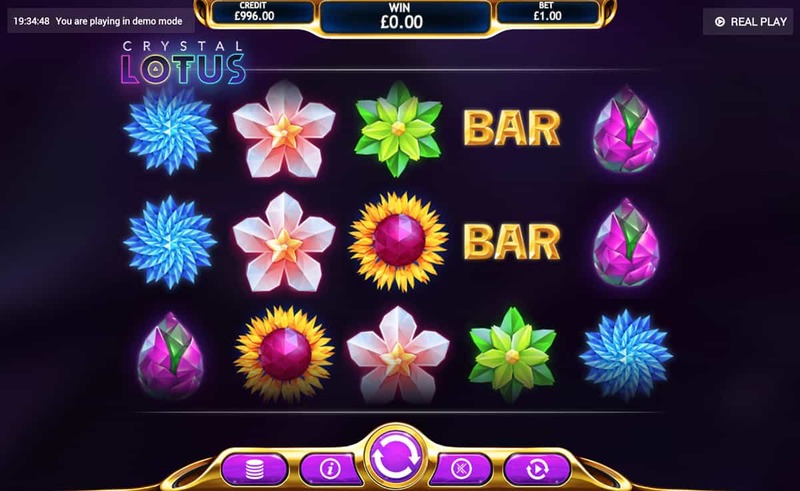 Slots players who enjoy classic slots, gem-based slots and the tranquillity associated with lotus flowers, will fall in love with Crystal Lotus with immediate effect. And if you’re after something at a slower pace, this is ideal for you too. Slots are known for their fast pace and sometimes chaotic nature. Not this time round. In fact, this is a great way to enjoy a relaxing slots experience, while picking up some impressive wins along the way.